The funded research project: "Isotropic cine cardiac magnetic resonance imaging, an extension to contrast-free angiography: 100% efficient reconstruction through compressive sensing and joint estimation of cardio-respiratory motion" is currently under course and we are in the process of achieving full 3D , 100% efficient, free-breathing cardiac cine with groupwise motion-compensated accelerated reconstruction. The funding institution requires us to promote this advertisement. The LPI was present in 2017 IEEE International Symposium on Biomedical Imaging (ISBI), hold in April at Melbourne. ISBI is a joint initiative of the IEEE Signal Processing Society (SPS) and IEEE Engineering in Medicine and Biology Society (EMBS). A full communication was sent to the conference, presented in a poster session, entitled Groupwise Non-Rigid Registration on Multiparametric Abdominal DWI Acquisitions for Robust ADC Estimation: Comparison with Pairwise Approaches and Different Multimodal Metrics. 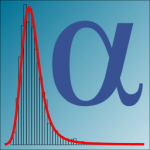 Read more about Libstable: Fast, Parallel and High-Precision Computation of alpha-Stable Distributions in R, C/C++ and MATLAB. Two LPI members have recently been attending the 42th International Conference on Acoustics, Speech, and Signal Processing (ICASSP 2017) at New Orleans. One communication was presented in a poster sessions: Effect of Sampling on the Estimation of the Apparent Coefficient of Diffusion in MRI.